For 2016’s final edition of YANOS’ Artist Of The Month we are awarding the title to General Levy, a ragga deejay from London, the UK. Most known for his work in the 90’s, Levy has a career spanning almost 30 years, which, despite his success, has been surrounded by an element of controversy. General Levy is most renowned for his and M-beat’s 1994 track, “Incredible”, which, despite wide-spread success, was banned from being played at a large number of Jungle events & venues as well as on pirate airways. The track was blacklisted after the hiccupping artist was quoted saying “I run Jungle”, in an interview with The Face. Many at the time believed this endangered the camaraderie of the Jungle Scene and believed that putting one name, face and voice above the movement itself was not something which should be allowed to happen. Beyond being shunned from the UK Jungle Scene, General Levy has seen little success until late. Now, over 20 years on from his most infamous release, Levy’s music has gone through somewhat of a revival. The beginnings of this renewed interest is somewhat thanks to a BBC Radio 1xtra appearance alongside grime royalty Dizzee Rascal, BBK, Lethal Bizzle, Tempa T, Fekky and Footsie. A recent collaboration with Ruffian Rugged & Kinetical, labelled as 7am Cypher, has also contributed to his popularity as of late. 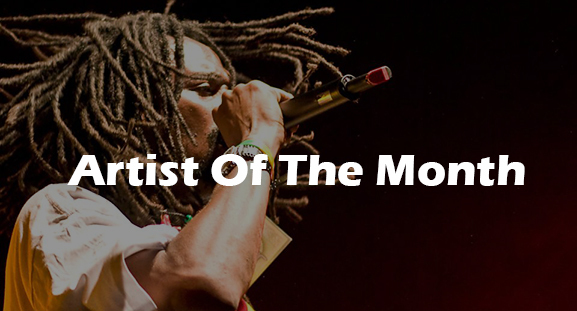 Despite his controversy within the early UK Jungle scene, we believe General Levy’s unique abilities make him more than deserving of 2016’s final title of YANOS’ Artist Of The Month. If you have your own comments you would like to add regarding General Levy, or to suggest some new artists for next year’s features, then please get in touch today. You can get in touch by using our Contact Form, or alternatively you can reach us via email at: YANOS.Contact@gmail.com. We would like to wish a Merry Christmas to everybody who has supported us throughout this last year, and hope your support is continued throughout 2017 – next year is going to be a big one – stay tuned for more! !